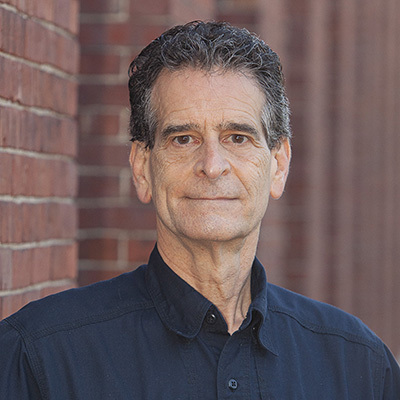 Dean Kamen is an inventor, an entrepreneur, and a tireless advocate for science and technology. His roles as inventor and advocate are intertwined-his own passion for technology and its practical uses has driven his personal determination to spread the word about technology”s virtues and by so doing to change the culture of the United States. As an inventor, he holds more than 440 U.S. and foreign patents, many of them for innovative medical devices that have expanded the frontiers of health care worldwide. While still a college undergraduate, he invented the first wearable infusion pump, which rapidly gained acceptance from such diverse medical specialties as chemotherapy, neonatology, and endocrinology. In 1976, he founded his first medical device company, AutoSyringe, Inc., to manufacture and market the pumps. At age 30, he sold that company to Baxter International Corporation. By then, he had added a number of other infusion devices, including the first wearable insulin pump for diabetics. Following the sale of AutoSyringe, Inc., he founded DEKA Research & Development Corporation to develop internally generated inventions as well as to provide research and development for major corporate clients. Kamen led DEKA”s development of the HomeChoiceTM peritoneal dialysis system for Baxter International, Inc. The HomeChoiceTM system allows patients to be dialyzed in the privacy and comfort of their home and quickly became the worldwide market leader. Kamen also led the development of technology to improve slide preparation for the CYTYC (now Hologic Inc.) ThinPrep® Pap Test. Kamen-led DEKA teams have also developed critical components of the UVARTM XTSTM System, an extracorporeal photophereisis device marketed by Therakos, a unit of Johnson & Johnson, for treatment of T-Cell lymphoma. An advanced prosthetic arm in development for DARPA should advance the quality of life for returning injured soldiers. Other notable developments include the HydroflexTM surgical irrigation pump for C.R. Bard, the CrownTM stent, an improvement to the original Palmaz-Schatz stent, for Johnson & Johnson, the iBOTTM mobility device, and the Segway® Human Transporter. In addition to DEKA, one of Kamen’s proudest accomplishments is founding FIRST (For Inspiration and Recognition of Science and Technology), an organization dedicated to motivating the next generation to understand, use, and enjoy science and technology. Founded in 1989, this year FIRST will serve more than 300,000 young people, ages 6 to 18, in more than 60 countries around the globe. High-school-aged participants are eligible to apply for more than $16 million in scholarships from leading colleges, universities, and corporations. Studies have shown that FIRST Alumni are highly motivated to pursue careers in science and engineering, thus fulfilling Dean’s goal of inspiring the next generation of technological leaders. Dean’s schedule makes it impossible for him to read or respond personally to all the correspondence he receives. If you would like to contact Dean, please send an email to contactDEKA@dekaresearch.com and your message will be forwarded either to him or the appropriate person at DEKA. Bear in mind that DEKA can’t make any promises regarding confidentiality of e-mail messages or letters.